Plants as everyone knows, are living things. They do not move …yet they grow. 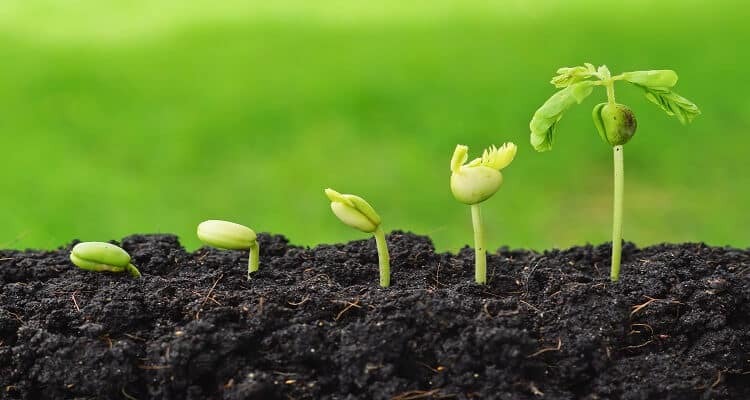 Every single day there is some growth that takes place in the plant. In the same way we grow with every single breathe that we take in. Grow tall just like their stem. We gain experiences as we age. Do not stop growing whatever may be circumstances. Who comes to your rescue while you are trekking on a summer day? The trees right ? A shelter for every traveler…the animals and of course the birds. Trees were the first home chosen by our great grand ancestors in the stone age era. The way they shelter us irrespective of the time in the day, the season or the year, we must learn to shelter others when needed. A plant bends to reach for sunlight. If you build a wall very close to a huge tree , it will bend its stem from over the wall but keep growing without any complains. This is adaptation. Life cannot be the perfect every moment. We should learn to adapt to the situations we are in. When we don’t have the direct sunlight, we need to go a little out of way , spread our arms ,and get the sunlight we deserve. A plant gives us flowers, fruits and also shade to anyone who can reach it. Most of the trees around us, the ones along the roadsides grow even if we do not water them. But we humans are continuously trading one thing for the other. We should learn to give and not expect anything in return. We must be selfless because it is said you will never lose anything if you have the habit of giving. Plants are said to prevent soil erosion. The roots spread deep in ground and hold the soil and water around it. Thus, it holds the two most important things it need the most – soil and water. We must learn to never let go. What is necessary, has to be held back, for our existence depends on them. You must have seen plants that have been nailed to support the new ad poster of your favorite bakery. Few days later, when the poster is removed, if you have seen closely, either the plant bleeds red or a transparent fluid flows out of its stem. Yes trees cry, because we hurt them. The tree could have dropped a huge fruit in your head to stop you from nailing it in the first place. But it didn’t. It just showed that it pains. We have two lessons here- one, do not nail into / cut trees. Two, do not react to the situation, Respond. Do you know how many plants are there at your workplace/school? I don’t think anybody does unless there is only one or two. Nobody notices the plants while passing by , nobody smiles at them every morning. Yet they keep blooming. Because they seek no acknowledgement. They need no validation from others to keep themselves happy. This is one of the greatest lessons we can take from plants. Learn to be believe in yourself and be happy with what you are . Like humans, every plant has its story. The sweet smelling rose that you see there, has thorns on its stem. The beautiful lotus, the national flower of India, grows in stagnant puddles. That’s the way it is …ironical. If lotus were to care about the sticky mud around it, it would never have been so beautiful. So stop complaining about those bad things around you. Overcome them and you are sure to be the best thing out there. All the best. After reading so much I am sure you are going to love your plants more, love the people around you even more. Doesn’t this article inspire you? Pass on the inspiration. Do let us know. Love and keep inspiring others. Previous Previous post: Top 10 Theories about the Bermuda Triangle!